We are pleased to announce that "Perfect Parallel has entered into an agreement with TrackMan to develop an integration of their respective products that has the potential to bring real world data to virtual world game play, and next gen 3D visualization to real world play"
Washington, DC (November 16, 2012)- We are pleased to announce that "Perfect Parallel has entered into an agreement with TrackMan to develop an integration of their respective products that has the potential to bring real world data to virtual world game play, and next gen 3D visualization to real world play"
This arrangement is a continuation of our commitment to bring the most accurate and realistic golf simulation experience to the gaming industry. This also confirms that our decision to develop on the Unity framework was the right choice. By selecting an engine that is platform agnostic and building our own tools specifically focused on the creation of outdoor environments over the last 12 months we have built a great foundation. David Helgason, Co-Founder and CEO of Unity Technologies went on to say "This is without a doubt the most realistic expression of a run time golf application that I have seen to date.Your team has pushed Unity to it's limits.We love to see that...."
Erik Lugris, Founder of Perfect Parallel adds that "If anyone out there had any doubts that this game would make it to market this confirms that our product is ready for prime time. We continue to stand by our commitment to involve the community in building the best game play around for what is already the most realistic 3D golf experience." We are currently putting the finishing touches on our kickstarter campaign and we hope to launch it very soon. We will have some great community rewards and lots of ability to participate in on-going development of our game. Great news and congratulations. I guess this is further confirmation (if some folks still needed it) the the 'Perfect Golf' crew mean business and want to deliver a virtual golf experience like never before. I would guess with the power of the Unity 3D engine being made full use of and now the input from Trackman technology, the future is bright. Bravo gentlemen. Wow!! This is great news. 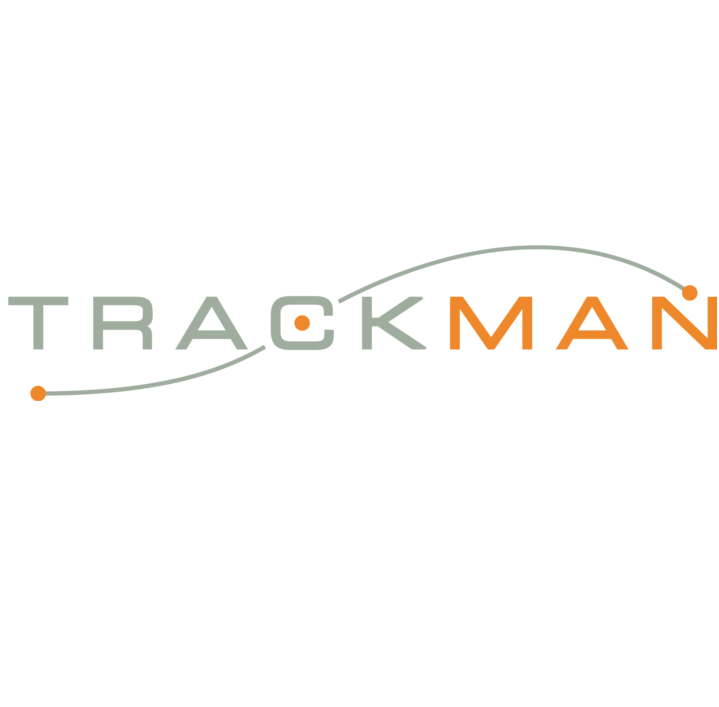 I myself have used Trackman and I can honestly say it was one of my more memorable golf experiences. I cannot wait to see how this will implemented and I am looking forward to the Kickstarter campaign. I'm sure we'll get to find out in time, but in a few words, what will the agreement with TrackMan offer to the PC golf game (as it's clear what it will be doing for the real-life golf sim side of things). I'm sure it can only benefit Perfect Golf, but just curious as to in what way. Cheers guys. Great news for you guys you diserve it ,good luck to you all in all you do. I am not really able to comment at this point but hopefully once our work with them is complete we will be in a position to expand on this a little more with an announcement prior to the PGA show in January. Until then all I will say is that our game will be able to work as simply as with a swing meter all the way to the point where our game is merely a reflection of the data generated by the input device. If it is exclusive it is a bad move. Can you chip and put on a trackman........NO. Trackman is $20K plus!!!!!! You would make more $ by intergrating all good sims......including GC2 for me!!!! Please confirm it is not exclusive and there is hope of my sim having your software. Can you chip and putt on a Trackman3,,,,,,,,,,NO Bad news if you want to malke the ultimate sim. Trackman $20K plus. Hope it is not an exclusive deal as my GC2 would be a better option as well as other sims. Please confirm it is not exclusive and you will support GC2 etc. No it is not an exclusive agreement. We will be working to incorporate through agreements all forms of input mechnisms. Hello Chris. Thank you for your post. I have a Trackman IIIe and can assure you that you can chip on it. As for Trackman IIIe having putting- Not yet. I have seen a really nice integration with E-6 and Trackman for Indoor use and have chipped with it Indoors as well as outdoors on the Range. It is pretty good. The guys at TruGolf have some great looking software and a great selection of courses. Andrew has answered your question in regard to an exclusive and our plans to incorporate through agreements all forms of input devices. So there is hope! Thanks again for your post. Your simulation software would be a great addition to the Protee golf simulator. Let's talk. What's the best way for Protee to contact you folks? Thank you for your post Vance. I believe that Andrew has contacted you via email so you are in good hands! Hello admins, 1st of all i should say im very impressed by what ive seen so far about Perfectgolf and i hope we get some more information about it soon. I have been playing Tiger Woods PGA TOUR for almost 11 years now and we are a great community who plays almost every day and we talking on teamspeak and having a lot of fun. So we are really interested in getting a new challenge and a change in our golf experiences because as you might know EA havent made a Golf game for the PC since 08. We would like to know how the game play would be like? Is it just played by this Trackman or is there a control with the mouse like 3click or trueswing aswell? Thank you for the kind words. As we speak we are building the click swing and club selection interfaces that will allow for people to play the game with a mouse. We will in the future be building all sorts of different input mechanisms. Our physics has been designed to take as little or as much real time data as is available with the lowest coming from a click swing and the most coming from a full blown Trackman set up with radar. We are keen to reach out more to the Tiger Woods PC community, and if you have some recommendations on the best way to do that we will appreciate any thoughts you might have. Thank you very much for that quick reply Andrew im a member of the worldclassgolfrevived tour and im from Germany. In our community we got about 20 players from all over the planet, some are here from Europe 1 is from Australia and 1 from South Africa and the most are from USA and Canada. We play our own tour and we all play expert level only. I think i can talk for almost everybody on our tour that we would be very pleased to help you guys out with some beta testing or staff like that. We got a couple of course designers in our community aswell who might got some useful suggestions too. You could also might join the forums on coursedownloads.com and golf4fun.org too to get more Tiger Woods players involved here too. Probably going to be the best thing since "sliced bread". Just don't forget to stop by the Kickstarter page and show your commitment to these guys by contributing some dough! Hi as a member of WGT , i am vrey excited in this development project , and can only say a few words ...... Jaw dropping Graphics in realtime !! oh also ... 1. will this be a download , or streaming from my browser 2. if its a swingmeter ? , i really dont want a jumpy one 3. i want to see better angles on the Green , when chip in , flop , pitch , and i want to see from my viewpoint the avatar seing the uphill or downhill elevations and not just a marker need to see the lie as if i was standing there about to Eagle putt on real life st andrews (The old course) 4. Avatars ? would like to see every detail of outfits , face , body, 5, multiplayer option , stroke , match 6. online gamers ? play with my friends from all over the world 7. live chat option ? in game text or voice 8. pro shop? would like to see all eqiupment .. at a fair price level and the sleeves of balls at a knockout price ... i love my pink balls and black and slow meter balls too please ..... well im just about wrapped up here , but this is very very exciting , any chance of a rough completion date to the public lol , i gues not WAY TO GO ... YOU GUYS ROCK !!!! @Brandi, I don't think you're going to find your 'slow swing meter balls' in Perfect Golf. This game is trying to simulate real golf, not making an arcade spoof out of it. If you want arcade graphics ,play shotonline lol ,this development looks along way off to the public , I think you have to realise there's other platforms for the public to stream or download and simulated golf is not everyone's cup of tea . Hope you guys can pull it off , I will certainly be watching closely good luck !! WE are keeping the faith. The four principles at PP are very determined. Besides Trackman what other golf simulators will this software be coming to.